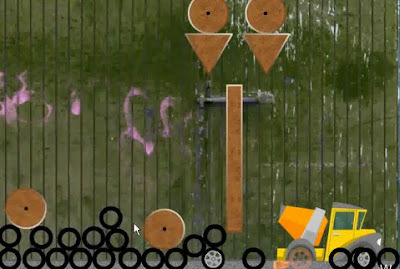 Rolling Tires walkthrough - This is another new physics based point and click game from puzzlegames24 on addictinggames. In every level there is a vehicle and a wheel in which you have to employ your physics thing to drop, knock and roll towards where it belongs. For complete solution to this game here are some RT Rolling Tires walkthrough.